Today in this post I will show you Superman vs. Google+ (Plus). Google recently suspended some account because they were not using their real names on Google+. 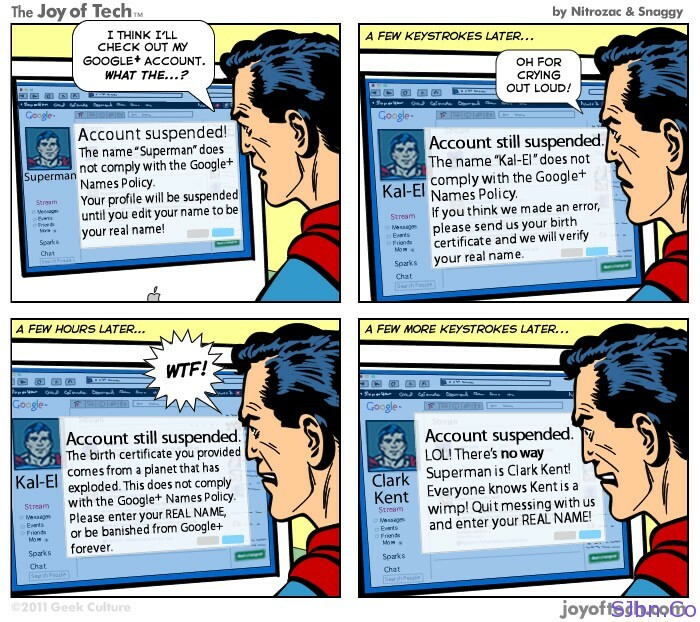 So JoyOfTech have made a comic on this which shows that Superman is trying to get a Google+ account but due to his name he is not able to access it. How A Web Browser Works?